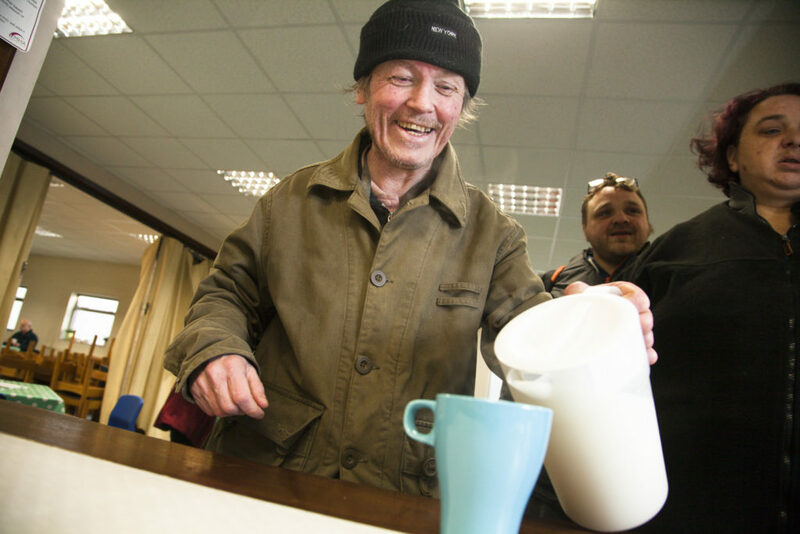 The Oasis Centre is a community day centre which works directly with vulnerable, marginalised and disadvantaged adults in Gorton, East Manchester; one of the most deprived communities in Britain. We continue to run our vital RE-BUILD programme which consists of emergency food parcels, emergency meals, emergency clothing, household goods and toys which are available for people who are in great need. Our community support team is also available for clients needing help with any problems they are facing. Our community support team supported clients with 1,884 separate issues this year (an 80% increase on the year before). The main issues facing our clients were: welfare reform changes, benefits, emergency provision, medical, addiction, financial, debt, housing, asylum and signposting to other support services. A total of 379 emergency food parcels were given to individuals and families in desperate need (a 40% increase on the year before). We also run a very successful RE-START programme which consists of a Basic Adult Life Skills Training Programme, a Moving Forward scheme, Educational Trips and an in-house volunteer programme which is available for people who want to escape the benefit lifestyle, reach their full potential and respond to the challenge set by the Jobcentre to get back into work. The Oasis Centre provides inspirational, stimulating and thought provoking activities, workshops, courses and events helping people gain motivation, aspiration, self-esteem and self-awareness. This year a total of 106 people benefited from our Basic Adult Life Skills Training Programme and Moving Forward scheme. 7 clients enrolled on to our In-house Volunteer Programme. We were delighted to help 20 clients achieve their goals, move into training, volunteering and education and we saw 9 clients find full-time employment! The Oasis Centre would like to thank everyone who has supported this vital work this year – we couldn’t have done it without you!